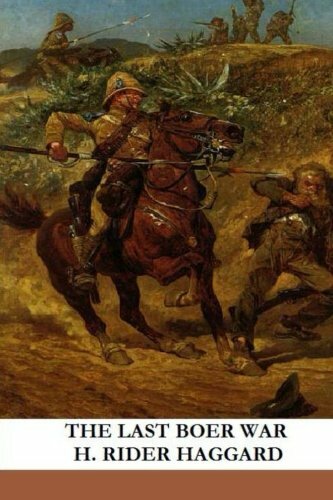 The Last Boer War is a 1899 non fiction book by H Rider Haggard about the Boer War of 1881. Excellent first-hand history by an eye witness who also happened to be one of the leading authors of the late 19th century. A must read for anyone interested in South African History or British Colonial wars. This is a short history of Africa excluding Egypt, Ethiopia and (Dutch and British) South Africa. The book has been compiled from the study of a number of works, including the Encyclopedia Britannica, the Encyclopedia Americana, etc. More by accident than design, England was drawn into the affairs of Egypt in the 1880s. In this illuminating volume, Churchill not only dramatically relates the catastrophic events in Sudan, but also places them in the context of Sudanese history. The book details the author's adventures in East Africa at the turn of the century. His story is riveting: Petterson single-handedly tracked and killed the lions that devoured 28 of his Indian workers as well as countless African natives.